With that in mind, the company’s newest version comes with a bunch of updates and an exterior redesign — the third Nissan to get a makeover. The stylish entry-level 4-door Versa is set to go on sale in summer 2019. The third-generation Versa is designed to be a high-value, class-above design. This model is longer, lower and wider than the previous version, while maintaining Versa’s roomy, versatile interior. Nissan’s advanced Safety Shield 360 technology suite will be standard on Versa SV and SR grades. “If you love performance vehicles, both modern state-of-the-art production cars and historic sports cars, this is a one-of-a-kind opportunity to see many iconic Nissan and Datsun vehicles in one place,” said José Valls, president and chairman, Nissan North America Inc.
Nissan celebrated the 50th anniversary of its GT-R with a special edition model. The most powerful production GT-R ever, the latest version of the exclusive GT-R NISMO is highlighted by new GT3 turbochargers for enhanced engine response and acceleration, improved transmission control for quicker cornering and escape, enhanced steering response and vehicle grip and new carbon ceramic brakes. Overall vehicle weight has been reduced through use of carbon fiber roof, hood and front fenders. It will be available in summer 2019. The 2020 Nissan GT-R 50th Anniversary Edition pays homage to Nissan’s performance heritage and includes a unique exterior and interior treatments, including special seat embroidery and an Alcantara® headliner with unique stitching. Based on the 2020 GT-R Premium model, it also offers increased performance. Three exterior color options are offered, each with special 50th anniversary strips, badging and wheels. The interior features unique coloring and badging. 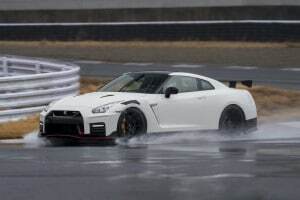 It goes on sale at certified Nissan GT-R dealers in summer 2019. Nissan rolled out its 2020 version of its GT-R NISMO racer at the NYIAS. The 2020 Nissan 370Z 50th Anniversary Edition commemorates the original 1970 Datsun 240Z with special exterior and interior appearance enhancements. 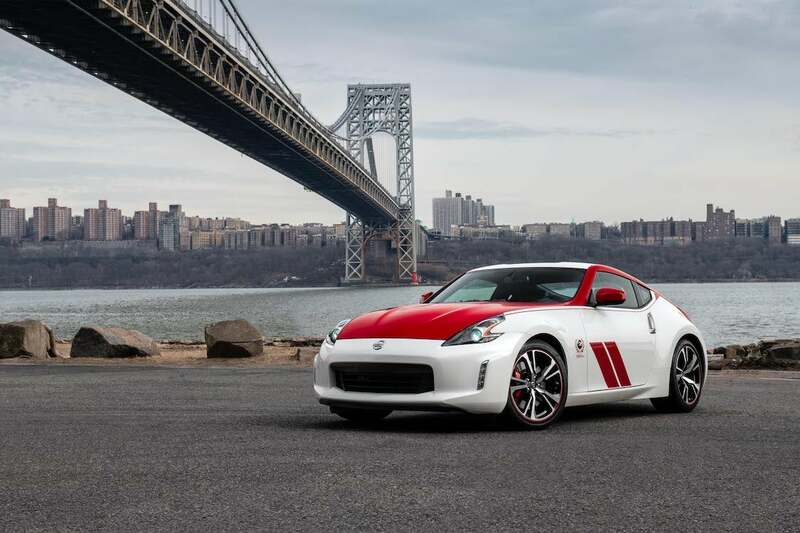 Based on the 370Z Coupe Sport grade, it is available in a choice of two exterior two-tone color options – white and red or silver and black. Each combination includes special BRE-style accent stripes, side market decals and 50th Anniversary rear badging and red wheel accent stripes. Inside, the leather and synthetic suede sport seats are highlighted with 50th Anniversary seatback embossing and red accents. It is available with manual or automatic transmissions and goes on sale this month. 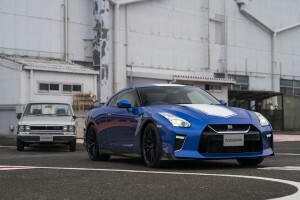 This entry was posted on Wednesday, April 17th, 2019 at and is filed under Asia Pacific, Auto Shows, Automobiles, Business, China, Coupes, Europe, Events, Executives, Markets, NAFTA, New York, Nissan, Personalities, Product Reveals, Sales, Sales, Sedans, South America, Sports Cars, U.S./North America. You can follow any responses to this entry through the RSS 2.0 feed. You can leave a response, or trackback from your own site.